We have established relationships with several key partners whose products and services augment the capabilities of OSIsoft PI or SharePoint and complement our services. Tatsoft provides Advanced HMI and SCADA software tools, products and services – within Plant Information Management Systems, Historian and Manufacturing Intelligence applications – that enable process improvements and real-time management of assets and business decisions. Serving markets such as Industrial Automation and Processing, Manufacturing, Energy, Utilities, Pharmaceuticals, and Data Centers, Tatsoft’s flagship product FactoryStudio delivers real-time WEB and Windows Presentation Foundation graphics, secure scripting, event notification and alarming, data archiving, advanced visualization, enhanced security, and more. Visit Tatsoft’s website www.tatsoft.com. Power Generation, Utilities, Facilities & Data Centers, Pimsoft delivers Sigmafine®, the world’s leading data reconciliation and validation platform for production accounting and material tracking. With offices in Houston, Texas and Italy, Pimsoft maintains a highly skilled and experienced staff that can respond quickly to customer needs. Visit Pimsoft’s website www.sigmafine.net. StratusIoTSolutions delivers secure and robust connectivity from industrial local network edge devices to the Enterprise Cloud and OSIsoft PI, enabling Big Data, enhanced analytics and visualization opportunities. 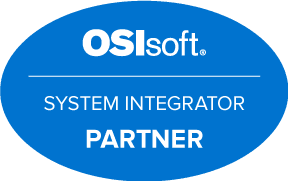 Stratus provides Ready to run Wifi, Ethernet, Bluetooth, BLE, cellular, and satellite solutions to link your science, data, and core technology to the OSIsoft® PI System®. Visit the Stratus website. Omicron has continuously been a Microsoft partner for many years. Omicron became Microsoft’s first dual Gold Certified Partner in the region and was awarded Microsoft’s Small and Mid-market Solutions and Partners (SMS&P) for the Greater Pennsylvania Area in 2007. At one point, Omicron held Microsoft certifications in six Technology Solutions Areas. Omicron was also a member of the Development Project at Microsoft for SharePoint 2001 Portal Server. Omicron remains a Microsoft partner but currently is putting higher priority on customer projects than awards.